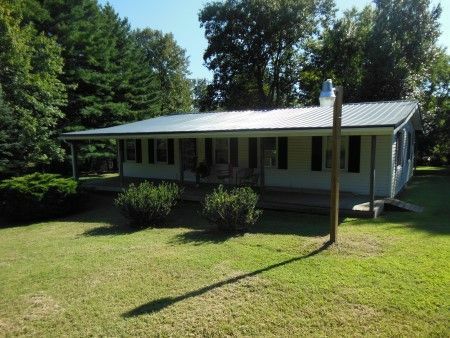 Being a neat & clean 3 bedroom 2 full bath modular doublewide home with metal roof, gutters, full front covered porch wood deck & rear full covered partial rear porch and storage. 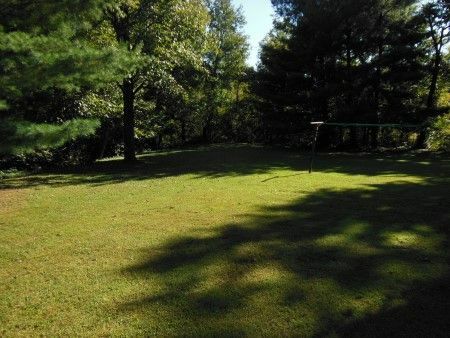 Scenic country setting not far from town, only +/- 2 ½ miles off of Western Ave.! Home offers Living room; Kitchen with cabinetry; Utility Room with washer/dryer hookup and rear entry door; Owner’s Suite bedroom with walk-in closet and attached full bath shower over tub with double sinks; Bedroom with closet; Full Bath shower over tub; Bedroom with closet. Home equipped with electric furnace, 200 amp breaker box, electric hot water tank, & county water. As well as 2 storage out buildings at the rear of the property. Real Estate Terms: $5,000. down at time of sale cash/check w/photo ID; Balance & possession upon delivery of deed at closing on/before November 22, 2015; Offered free & clear prior to closing; Sold As-Is; No buyer’s contingencies exist; Buyer’s are responsible to conduct any inspection, inquiry, investigations & due diligence regarding to the property. Taxes & Legal: Ross County Auditor reports the following: Parcel #261605073000, Net Annual Taxes: $219.28, School District: Union Scioto LSD. Wendell O. Detty Estate, RCPC Case o. 2015-E-120, Marin L. Detty, executor; Carrie L. Rowland, Atty.